To be recognized as an effective and progressive organization that contributes to the unity and well-being of the CCTC communities and citizens through the delivery of quality programs and services which respect our aboriginal culture, traditions and values. Our board of Directors are the chiefs of our four member communities. They set direction and monitor the Carrier Chilcotin Tribal Council in quarterly meetings. 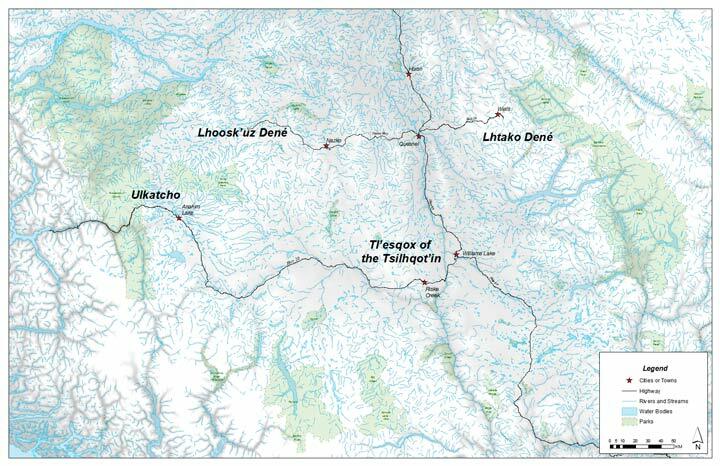 Our communities’ home languages are Dakelh and Tsilhqot’in, both part of the Athabaskan language family. As we work together, we can build strength for the common good of all our communities. Our employees strive to give the best service possible within the terms of their work descriptions and mandate they have. Even though our staff is small, there is a wealth of experience among them.